Becca Dilley Photography — Catalyst Wedding Co.
Becca Dilley Photography tells stories of happy people, their community of family and friends, and generally some gorgeous spaces. What is Becca Dilley Photography's mission? I tell stories of happy people, their community of family and friends, and generally some gorgeous spaces. 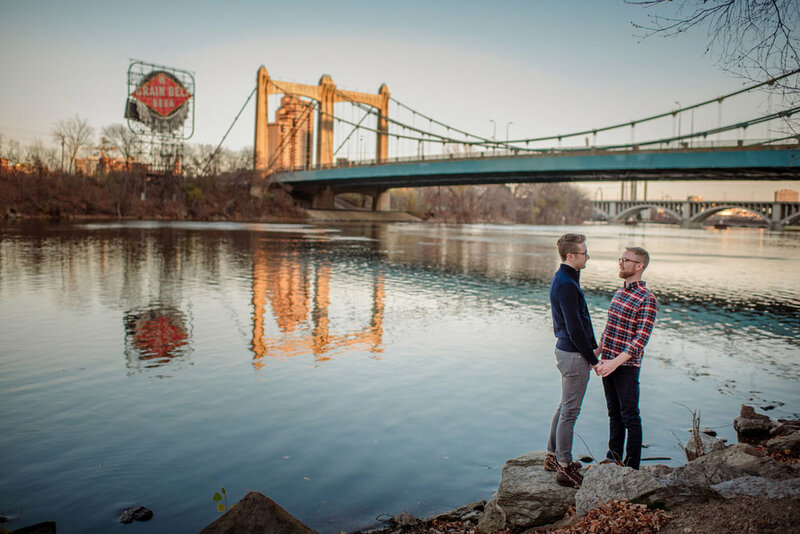 What is Becca Dilley Photography's origin story? I photographed a friend's wedding over 12 years ago and unexpectedly loved it. I worked with several other photographers before going full time with my own business in 2006. What is one of your favorite projects you've ever worked on? My husband and I wrote a book about Wisconsin's master cheesemakers — it involved 3 months of driving around Wisconsin, eating a lot of cheese, and learning to take photos in humid cheese factories. Not only do I have cheese answers for any cheese question, but after taking photos of cheese factories at 6am and waiting for sheep to pass by my camera, I am never phased by complicated locations or tight timelines. How are you a "wedding space disrupter”? I've created networking groups, I've run events to connect local couples with content-based wedding information, I've put together styled shoots and fake weddings and independent wedding fairs. And after all of that, the thing that actually disrupts the industry the most is totally ignoring it and focusing on the great couples I work with and how I can make their wedding day go easier, be more joyful, and be well documented so that they are free to enjoy it. What three ingredients are necessary for a great day at Becca Dilley Photography? I've been know to have a "triple 'spro" day, in which I go for my third cappuccino, but generally my great days involve awesome couples, laughter, and a regular coffee. What are some traits of your ideal client? Couples who choose me usually focus on celebrating with their guests and making sure that the photo part of the day fits into that celebration without becoming a chore. Formal photos happen with equal parts joy and expedience, and the rest of the time I document the awesome interactions. I also rock it out in dark spaces and at night! "I know EVERYONE says their wedding photographer is the best. 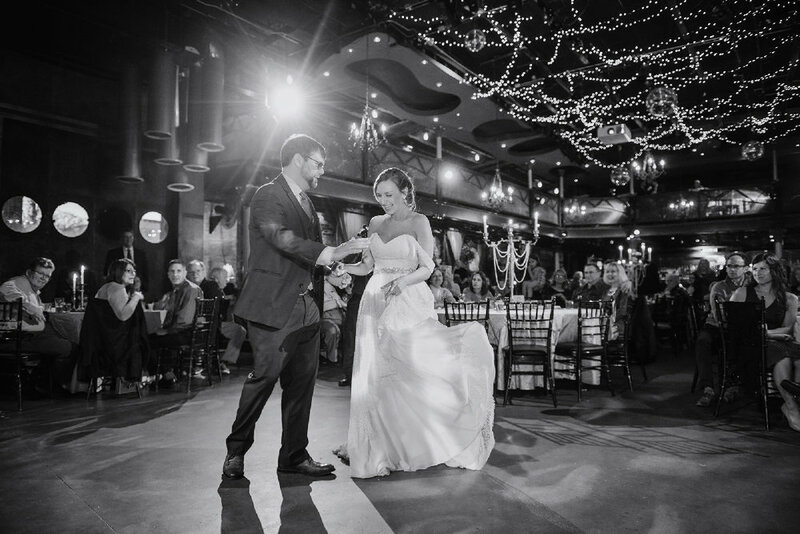 but honestly, if you're looking for a true professional who you can trust implicitly on your wedding day, check out Becca Dilley Photography. Becca's the kind of photographer who shows up to your dance party, even though you didn't ask her to, because she knows those photos will be your favorite. she will make you stick to your timeline, pulling you away from your dressing room even though you're still making last-minute adjustments to your hair, and you will love her for it. she will remind you to breathe and assure you that there is actually time to walk over to the ivy-covered, limestone building for that perfect St. Olaf shot. and when you're too anxious to tie your husband's bow tie, she'll do it for you, but only after taking an adorable picture to make everyone think you did it. 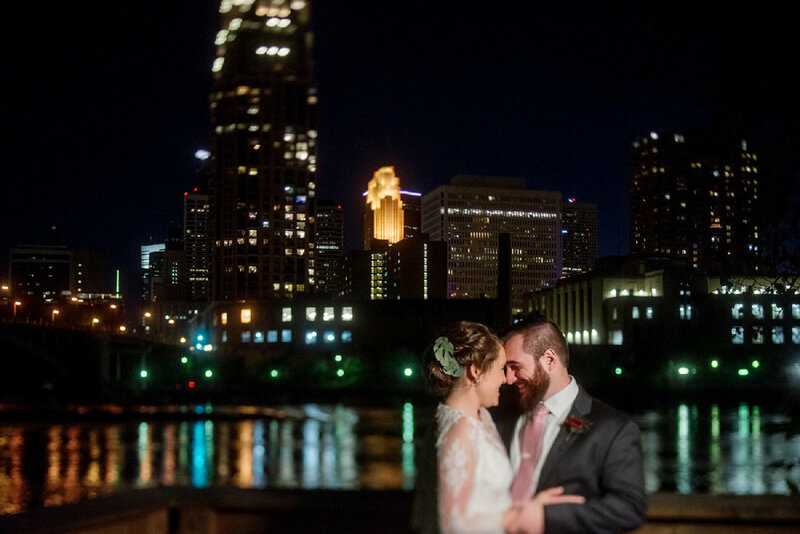 so yeah, i think Jared's and my wedding photographer is the best. check her out! " As much as I like to geek out about equipment and ideas, there is one main thing you should know about me: I like what I do, and I make sure it shows. I believe that every challenge is an opportunity — some of my best photos have been taken in rain, surrounded by mosquitos, next to dumpsters, and with only 30 second to spare. Travel to much of MN and WI included for full day weddings — I happily get on planes for couples, too! Small weddings are awesome — I photograph elopements and smaller weddings frequently, but have limited availability for weekend times.